KiCrafts has tumblers! These are 14oz. 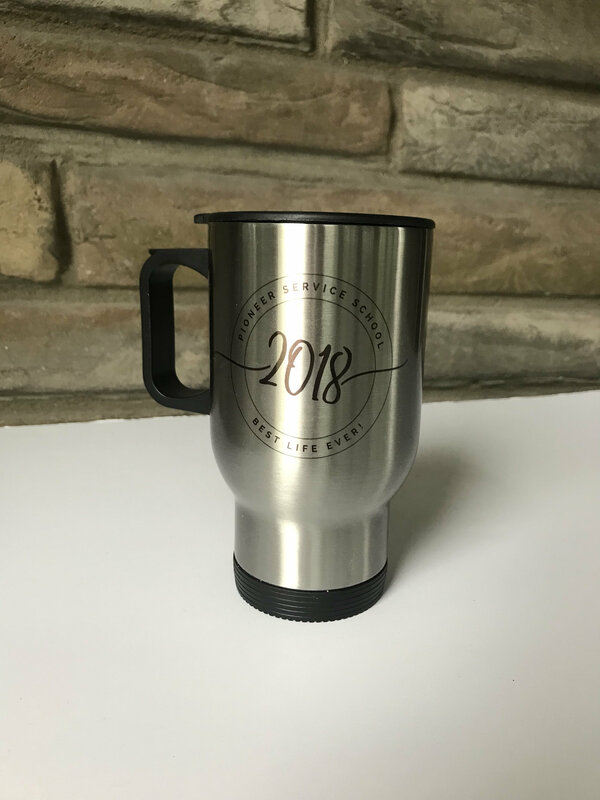 Stainless steel (inside and out) tumblers with plastic lid and handle. 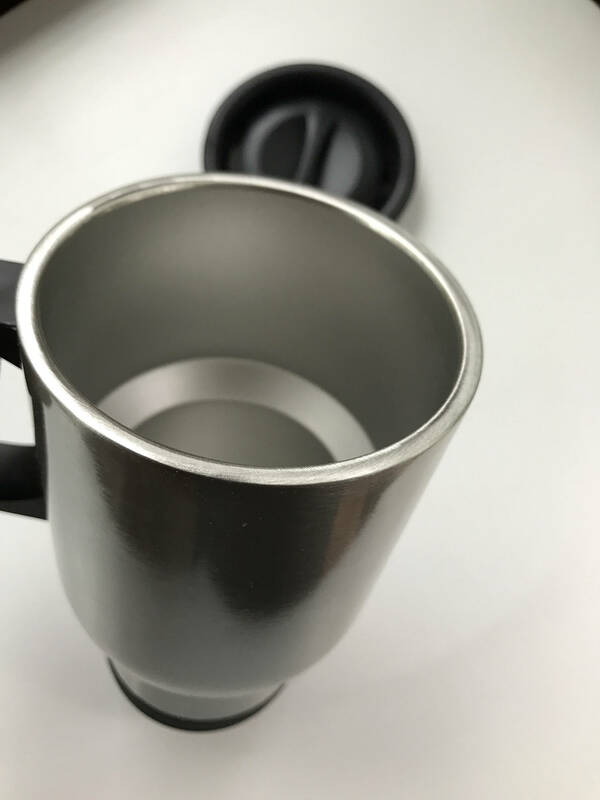 6" x 3.4"
Stainless steel inside and out. Twist action lid; though not spillproof so handle with care. 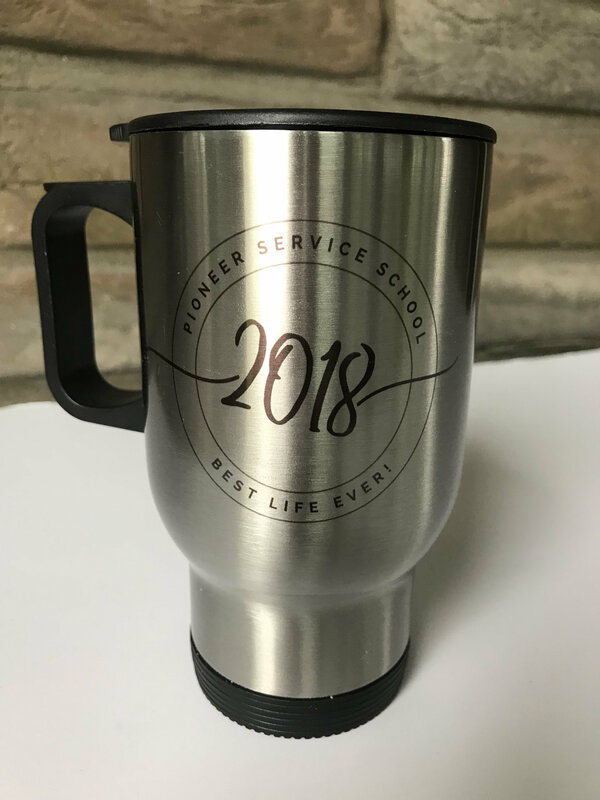 Great for elder school, pioneer school, graduation, or whatever-you-can-think-of gifts! All pressed here in my shop by hand. How can these be personalized? Add a name, congregation name, or other detail. Need a custom design? Let’s talk. Send a conversation or email to me.